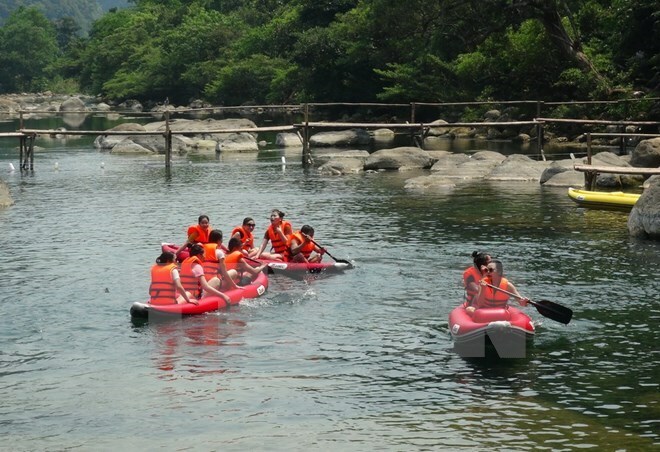 Hanoi (VNA) – The Vietnam National Administration of Tourism (VNAT) will carry out many practical activities to support tourism development in four central provinces hit by the recent sea environmental incident, including Ha Tinh, Quang Binh, Quang Tri and Thua Thien-Hue. Among those activities are conferences promoting tourism in the north central region in Hanoi on November 17 and in HCM City on November 18 to introduce new tourism products and connect the region’s tourism enterprises with travel companies in the two big cities. The VNAT will also introduce tourism potential of the north central region and Vietnam in general in Bangkok and Udon Thani province of Thailand from November 22-26. A seminar on developing tourism products in the north central region will be held in Thua Thien-Hue from November 28 to December 4. The administration will also hold training classes for tourist guides in Ha Tinh province on December 12-18. Responding to the mass fish death seriously affecting tourism activities in the four north central provinces in April, the Ministry of Culture, Sports and Tourism launched a project to assist the affected provinces to restore tourism after the sea environmental incident. The regional tourism sector suffered losses of thousands of billions of dong from the incident, according to the VNAT.